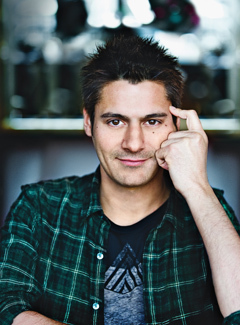 Scottish born, Danny Bhoy is one of the best selling comedians at the Edinburgh Festival, repeatedly selling over 12,000 tickets in just 3 weeks. This is hardly surprising for one of the now top selling comedians in Australia, New Zealand and Canada. His unique brand of observational humour, and natural gift for storytelling has captured the hearts and minds of fans around the globe, and his popularity continues to rise at a meteoric pace. His latest show was described as ‘extremely funny, enchanting and charismatic.’ Danny is constantly evolving and developing, which keeps his stand up fresh and exciting. 2012 will see him take on some of the biggest comedy festival venues around the world with a brand new show. In addition, this year, Danny is developing some long awaited TV projects and will be releasing a brand new DVD in November.